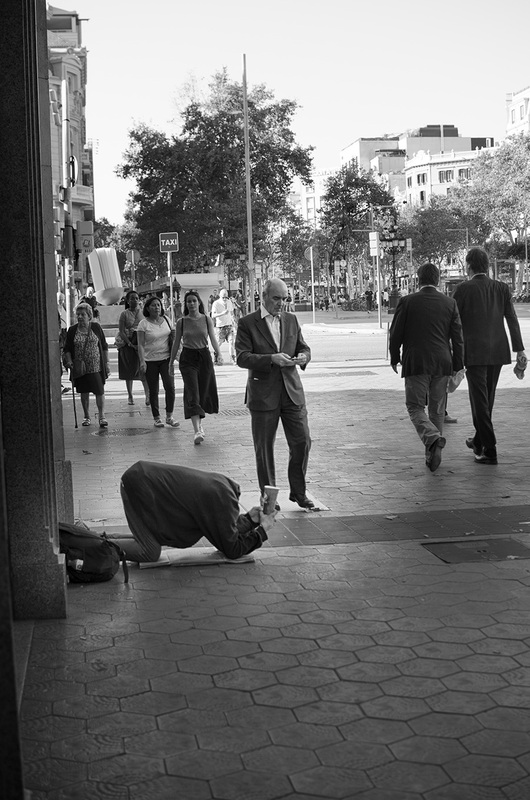 Some things never change, the gap between rich and poor keeps growing and the future is not very promising, considering that AI, automation and digitalization imposed by the so called Industrial Revolution 4.0 will redefine works and will deteriorate the situation even further unless governments make a better distribution of the benefit obtained with such amazing technology. Less capitalism, less monopolies and more control of our success in the search for knowledge, let's do it for the sake of mankind. 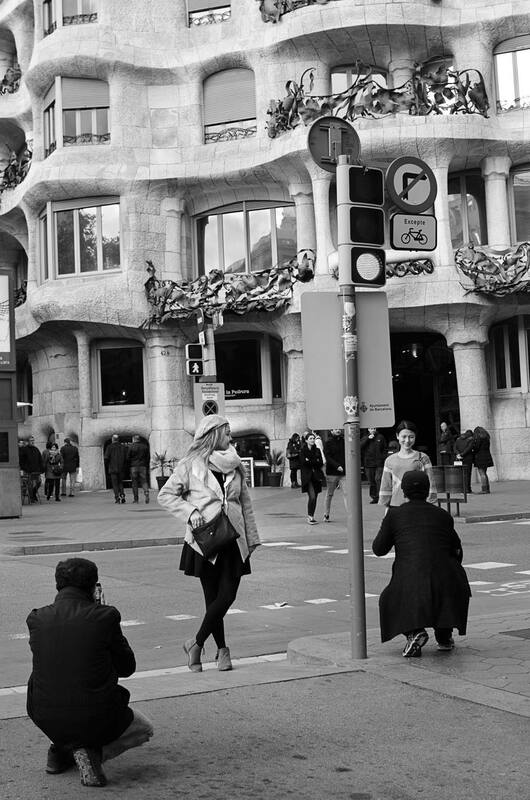 Street photos sometimes offer you improvised models so being a witness and not the photographer at work allows you to capture the making off part of the scene. 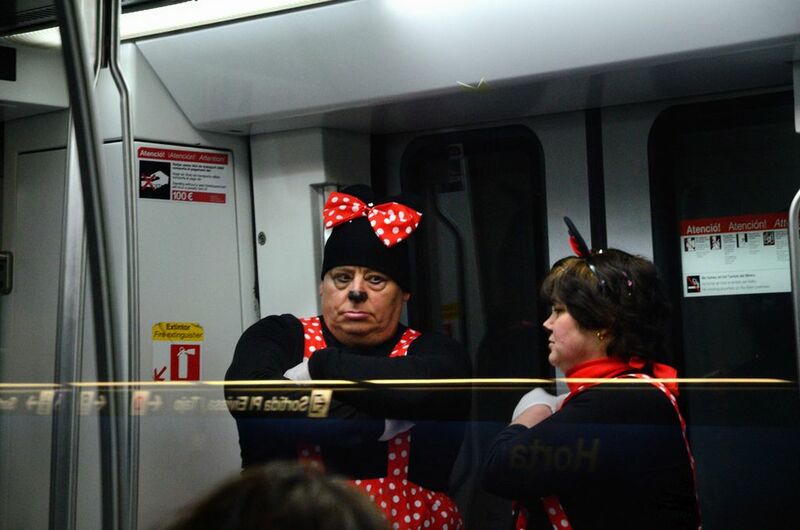 Weird things you come across through the subway windows sometimes! Soccer does not understand from countries, ideologies, religions, cultures and FC Barcelona team has followers in the most unthinkable places of the planet. Standing at the front of this FC Barcelona store in Passeig de Gracia, it was fun watching passersby react to the appealing entrance. 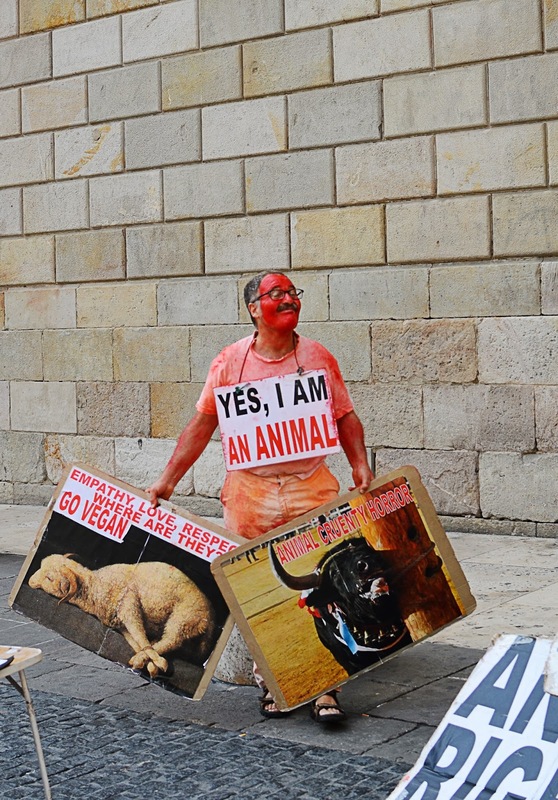 Today at Sant Jaume square, the political and governmental center of Barcelona, there was this funny but convincing animals right activist, all by himself, denouncing cruelty with eloquent signs and collecting signatures from passersby. There were many more signs lying all over the pavement with overwhelming pictures depicting animal abuse that certainly made you more aware to say the least. 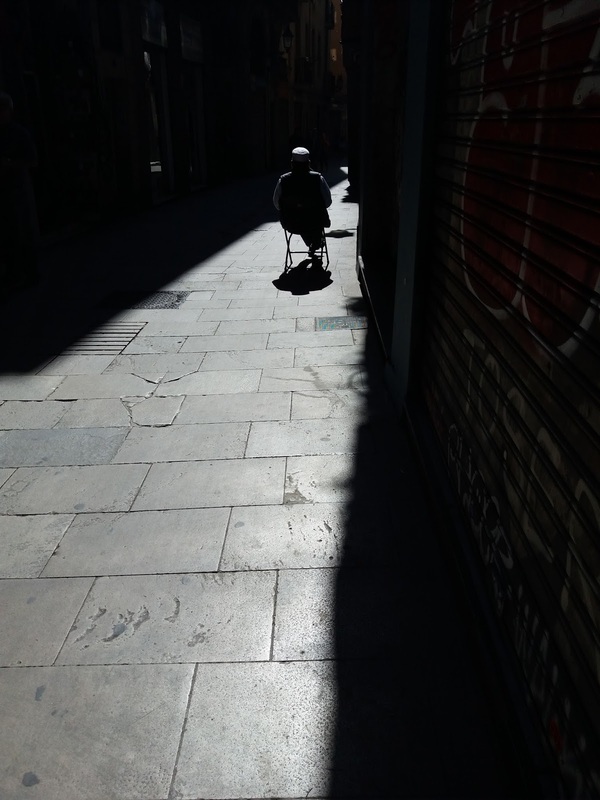 Man wearing a taqiyah cap and sitting in a narrow alley of El Barri Gotic in Barcelona. The light seemed ideal for meditation.